For the past 15 years Ann Collins, a dedicated member of the Churchville Senior Center and community, has worked in different roles to support the efforts of the Center. She has worked many years as the substitute center director and has helped the transition of several CSC directors over this past decade. Collins announced her resignation from this position earlier this week due to personal reasons. She has been a tremendous support to the Center and to Center Director Gail Ham. Thank you, Ann, for your dedication and hard work over these past 15 years! Recruitment efforts are underway to find a new substitute center director. An employment ad will run starting Jan. 1, 2012 in the Staunton News Leader. If you or someone you know is interested in the position, please contact SAW RD Jenn Chestnut. RESPONSIBILITIES: Manage operations of the Senior Center in the absence of the Center Director. QUALIFICATIONS: Experience working with older adults; program/activity implementation and group facilitation; and knowledge of Churchville community preferred. Must have excellent written, communication, organization, and computer skills. Must be energetic and able to work independently. 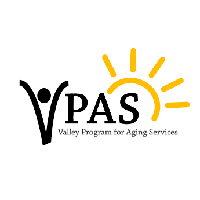 TO APPLY: Submit resume with cover letter detailing experience related to the responsibilities and qualifications of the position to jenn@vpas.info or to P.O. Box 817, Waynesboro, VA 22980. Satisfactory criminal background check required.EOE.